Blair joined the law firm of Wilson & McIlvaine in Chicago immediately following graduation and became a partner in the firm's real estate department. Wilson & McIlvane was formed in 1864. He relocated to Tucson, Arizona in 1985 and continued as Special Counsel to the firm until 1987 when he joined a firm in Tucson. Wilson & McIlvaine merged with the national law firm of Quarles & Brady in 1999. Blair's time in Chicago coincided with a significant and exciting development period for that city. Mixed-use developments were introduced on a very large and creative scale and required the development of new real estate tools including financing and leasing formats to control and monitor the shared uses and the allocation of operating costs in multi-tenated, multi-use developments. Blair was fortunate to be a member of the development teams for many of the new projects including: The John Hancock Center; Water Tower Place; The Apparel Center; The Tishman-Gateway Buildings; the State's largest retail center known as Hawthorne Center and, the development of an entirely new town now known as Vernon Hills, Illinois. He represented the owners of the LaSalle Bank Building and the largest private commercial building in the world, The Merchandise Mart, and advised on their operations, leasing and renovatons. His representation of the Equitable Life portfolio included all of their office, industrial and retail properties located between Pittsbutgh and Denver. His tenant clients included Marshall Field & Company; Arthur Anderson & Company; Trailer Train; Union Tank Car; William Blair & Company; Towers, Perrin, Forster & Crosby, Turner Construction Company and others. 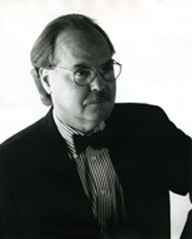 His real estate activity included a number of important tax-exempt organizations and his client list expanded to include organizations such as Northwestern University, Lake Forest Hospital, Children's Memorial Hospital, Lake Forest College, Brookfield Zoo, The Corporation for Open Lands, and numerous other tax-exempt organizations. Blair has practiced in Tucson since 1987 with a continued focus on real estate development including construction, financing, leasing, sales and acquisitions. He also devotes significant time to the formation and representation of non-profit and tax-exempt organizations and has represented the University of Arizona Foundation, the Arizona Senior Academy and its associated entities, Handi-Dogs Supporting Foundation, and Pima Prevention Partnership. Blair's Tucson practice began by introducing air rights leases to the state of Arizona for the first time when he structured an air rights lease over the University of Arizona Stadium to permit the construction and ownership of skyboxes by a private entity. Blair has been asked by several leading real estate firms, including LaSalle Partners and CBRE, to particiapte in their in-house training and preparation of leasing materials. Blair has lectured for both the Illinois and Arizona Institutes for Continuing Legal Education and for private continuing legal education organizations such as Lorman Business Systems. He has published books and articles on both real estate and tax-exempt topics and continues to develop new tools and approaches for his clients. Lenny is “of Counsel” to the firm and provides support in the firm’s primary practice areas. Lenny joined the Park Avenue law firm of Spengler Carlson Gubar Brodsky & Frischling (New York City) in 1980, a year after graduating law school. He joined the firm's corporate department, specializing in general corporate and commercial law, including equipment leasing. Lenny remained with the firm until 1984, after which he was General Counsel to several subsidiaries of a public corporation where he focused on commercial law and corporate governance. Lenny became a sole practitioner in 1991. Spengler Carlson eventually merged into Thelan Reid & Priest. Lenny has been in private practice since 1991, first in New York and then moving to Tucson in 1995. Early in his practice he specialized in equipment leasing, secured lending and software development and licensing, including representing Hitachi Leasing of America and 5B Technologies Corporation, a NASDAQ small cap company. His practice now primarily focuses on real estate leasing and development and general business matters, including representing owners and developers of shopping centers and office complexes. Lenny recently completed the leasing and construction work for the La Paloma Office Center in Tucson. Examples of clients are Holualoa Companies, Diamond Ventures, and A.F. Sterling.